The second annual Mount Holyoke College Girls in Tech Conference (MHC GIT) took place March 5. 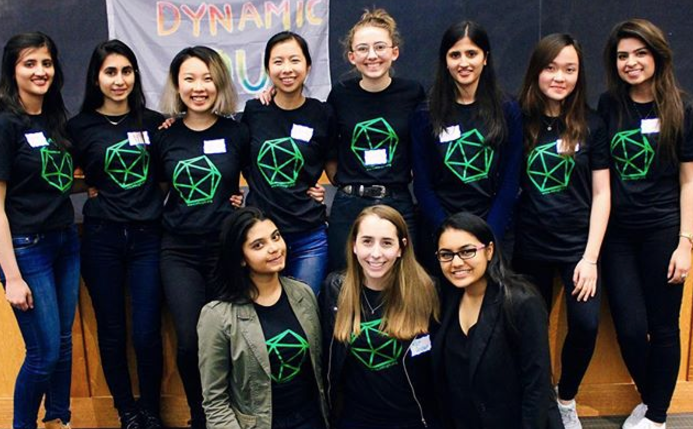 The one-day event, founded in 2016 by Onji Bae ’18 and Hashma Shahid ’17, is dedicated to inspiring local high school students to explore technology through engineering and entrepreneurship. It included interactive programming, hardware workshops and talks by inspirational women who employ technology in a variety of fields. Participants also practiced public speaking, networked during lunch, brainstormed together and experienced the power of mentorship — high school students were paired with Mount Holyoke student mentors. Kat Aiello ’18, who majors in computer science and is pursuing a Nexus concentration in data science, co-chaired the MHC GIT. For an insider’s view of the conference, courtesy of Aiello, check out the Storify below! Get pumped to close the gender gap in tech!